MyU Preview is a series giving a peek into pages within the new MyU. Keep in mind that MyU content is in development and some things will be updated between now and Go Live. Staff with access to EFS will see the U Finance tab. This tab provides direct access and information to many finance functions. 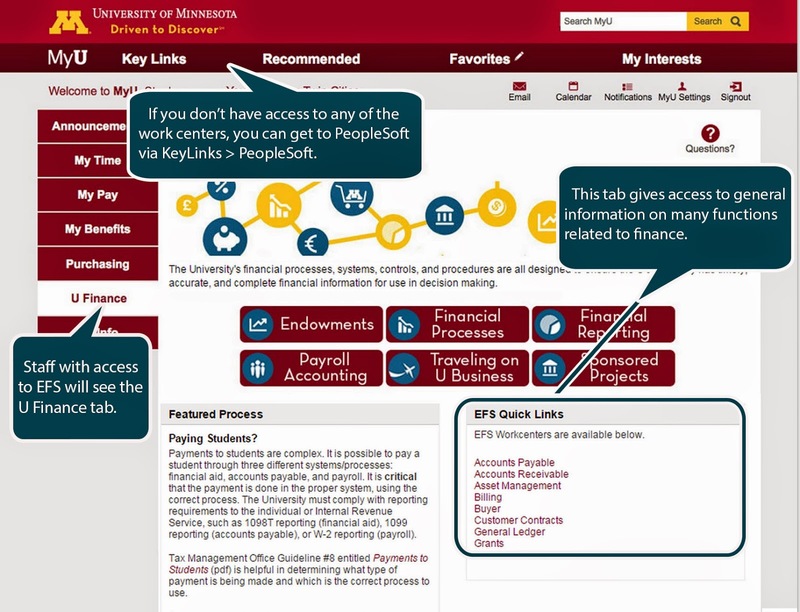 It’s here where one can also find quick links to access the EFS workcenters. Click image to enlarge.